ChildChildren ages: 4 to 12 years old. Children under 4 are free. Celebrate...Celebrate... dance to the music! 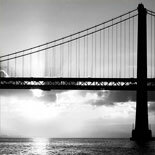 Whether a romantic evening for 2 or a celebration for 20, the professional crew of the San Francisco Bay Supper Club Cruise provides excellent service and personalization for your special occasion. Experience San Francisco's famous skyline at night from the water. This San Francisco Bay Supper Club Cruise will whisk you away for an evening on the water. 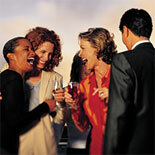 Delightful food, a refreshing beverage, entertainment and personalized professional service in one package. 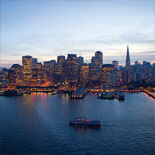 Experience the unique San Francisco skyline from Hornblower's deck, or through view windows from your dinner table. Upon boarding, the captain and crew will direct you to your deck. Next, the hostess will show your party to your assigned dining table. Take a stroll or enjoy the view, while you prepare to savor the finest cuisine on San Francisco Bay. 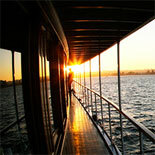 Dance, dine and unwind aboard a three hour San Francisco Bay Supper Club Cruise that is unbeatable. Food is offered from various food stations including Latin foods, carved roast beef, mashed potato bar, local vegetables, Italian pasta, fresh breads and tasty desserts. From there, it's out to the deck for music and dancing in view of the TransAmerica Pyramid, Coit Tower, Golden Gate Bridge and other famous San Francisco sites. Only on a Hornblower luxury cruise adventure can you feel so relaxed and refreshed. Taking the art of entertaining to a whole new level, the Hornblower's professional staff can personalize your cruise, tailoring any event to suit your needs. So whether it's a romantic evening for two, a birthday celebration or a wedding anniversary, you will remember this for years to come! 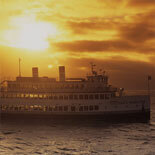 Make your reservations now, get your eTickets, and come aboard the San Francisco Bay Supper Club Cruise. 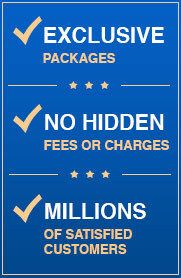 Hornblower promises you an unforgettable experience! 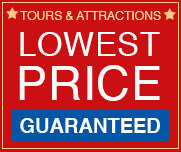 Operates Friday and Saturdays -January - November. Boarding time: 7:00 PM. Leaves from San Francisco Pier 3 at 7:30 PM. Reservations are required 72 hours in advance of desired cruise | Business casual to dressy casual attire is recommended for dinner cruises. For men, slacks or khaki pants, and a collared shirt with or without a jacket. for women, slacks or skirt, with a collared shirt, or dress. No jeans, shorts, tank tops, flip-flops, or gym shoes are allowed at any time on any cruise | Boarding time is 30 minutes prior to cruise departure. Please reconfirm boarding time prior to cruise | Gratuity is not included in your ticket price | Hornblower sails rain or shine. In the case of severe weather conditions, or upon the direction of the U.S. Coast Guard, Hornblower will remain dockside | All sales are final and non-refundable. A 48 hour notice is required if rescheduling is necessary. Refunds will be in the form of a Gift Certificate | Smoking is allowed on the outside decks only | Please check with Customer Service for handicap accessibility.